Interviewing traditional speed metal band Enforcer, Sweden Rock Magazines asked why the play 'old school' metal. They answered, astutely I might add, that heavy metal is not old school, it is timeless. 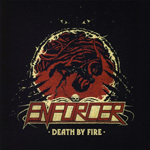 Only to persevere even more, Enforcer returns with their third album Death By Fire, now signed with Nuclear Blast Records. Once more Enforcer delivers classic heavy speed metal comparable to early purveyors and peers like Agent Steel, Exciter and Anvil. With Death By Fire, they basic turn the engine over, stomp on the gas battle, and don't stop racing until the final note. Yeah, you might hear a slower breakdown in Silent Hour / The Conjugation, but it's brief. Speed aside, Enforcer works in good melody and some classy hooks in both music and vocal arrangements. Of course, there's plenty of ripping and blistering guitar solos abound; the bass and drum line are anxious and breathless; and, Olof Wikstrand's steely vocals are soaring. Classic speed metal comes in every song, but Run For Your Life is one of the examples. 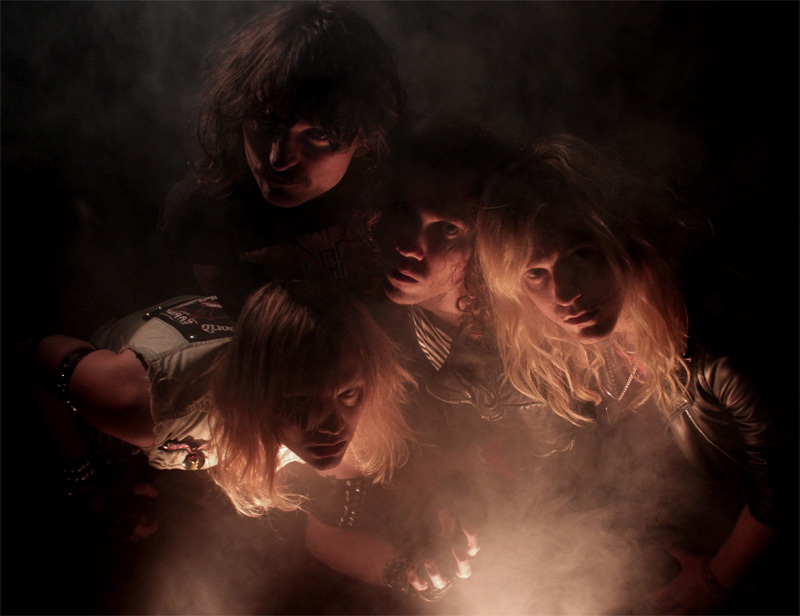 You get a real taste of melodic metal accessibility with Take Me Out This Nightmare. Yet, Enforcer is more impressive when the arrangements sound larger, even epic, as on the trio of songs Crystal Suite (an instrumental), Sacrificed, and Silent Hour / The Conjugation. The wild card here is the closing number Satan. You can't get more old school or metal than writing a song about Prince of Darkness, but in the case it simply gets old. 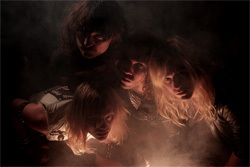 Nevertheless, Enforcer delivers another fine platter of classic melodic heavy/speed metal. Conversely, at only 35 minutes, it's a rather short offering. Otherwise, easily recommended. Enforcer delivers another fine platter of classic melodic heavy/speed metal. Conversely, at only 35 minutes, it's a rather short offering. Otherwise, easily recommended.